Yeah. Well. Clearly I'd forgotten jus this awful these stories were. It starts off rather average, but the 8-part Wolverine & Ghost Rider team-up was truly terrible. I get it that writing a story in 8-page chapters can be challenging, but this sets a new bar for lack of concentration. The art is rushed (at best) and sloppy. 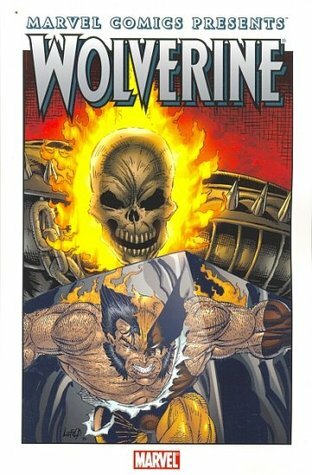 The story isn't even consistent from chapter to chapter (I'm not even going to mention how it's inconsistent with both the Ghost Rider & Wolverine titles that were being published at the time). Yeah, don't bother with this one. Do yourself a favor, skip it. I remember the Acts of Vengeance story from MCP fondly from my youth. What ten or eleven year old wouldn't enjoy a book with both Wolverine and Ghost Rider? When I saw the collected version for $3 online a few weeks ago, I just had to jump at the chance to purchase it. How did it hold up? Well... you know, it works on the level of providing action-packed mayhem. Would a story like this get panned today? Sure it would. There were some hokey parts to it for sure, but it was a fun, fast read.